What kinds of speakers come into chapel and what types of beliefs are represented throughout the chapel at Grove City College? What are some of the upcoming projects that Grove City College is excited about? What is student life like outside of the classroom at Grove City College? 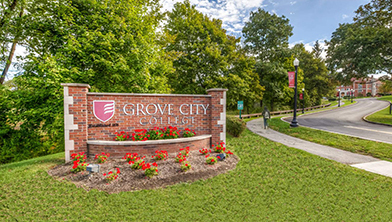 Grove City College hosted this Access Live event to speak with prospective students. Guest speakers included President of Grove City College, Paul McNulty; Director of Admissions, Sarah Gibbs; Director of Financial Aid, Tom Ball; Senior Fellow in the Center for Vision and Values, Dr. Jim Thrasher; Acting Director of Housing, Joe Cirelli; and two current students. President Paul McNulty opened the call by discussing what he feels makes Grove City College unique. The panel of guest speakers addressed several important topics with prospective students such as student life outside of the classroom, chapel, the Trustee Scholars Program, and upcoming projects for Grove City College.